I’ve been processing some entanglements with religion. Yesterday It had been in the back of my mind, this intense energy of proving oneself as worthy and, having to strive to earn your place in heaven. I am acutely aware of the millions of people around me that are meaningfully going through purgatory as a means to an end, that end being a righteous end in heaven. That intensity of awareness starting increasing yesterday, as I am getting ready to attend an Access Consciousness Foundation class. What I am aware of is that doing a laundry list of things in order to prove oneself as worthy is a lie that many people function from. It is a lie that is constantly bought and sold to children in orthodox religions such as mormonism and catholicism. I have been so busy with work that I haven’t sat with it enough to ask more questions about what to do with the intense awareness I am receiving. Then last night I had a bad dream about it all that woke me up with a startle. In this dream I was in a lifetime where I gave up and gave over all my power over to some source and force outside myself. I had been doing life and doing the things taught to me that I should do in order to earn my way into heaven. When it was time to go to heaven, I didn’t desire to go. But I was escorted away anyways. I was uneasy as I was being flown to the gate with this tall, black, hooded figure. We were gliding along, easily. When we got to an entry point, I was told what I needed to say and how to act. Then I could sense the dark hooded figure communicating with entities beyond the entryway. These entities were controlling the gateway. They were not in view, yet I knew they were there. There was some foreign sounding word I’ve never heard before. It was dark all around me. The entry way, or gate, was like this large black spinning ‘ceiling fan’ above my head. Possibly some kind of dimension or gateway to another realm. I knew that going up through there would be more like a prison then not, yet I couldn’t articulate it. I just had this pit in my stomach and felt uneasy. It wasn’t a joyful ocurence. It was like a solemn procession. After we had been there a while, the gate wasn’t opening. The communication was that I was not being allowed to enter. They didn’t know what to do with me. As all of this was taking place, I was aware that there was ‘family’, that came from out of town to be with each other as it related to me, for this occasion. The family viewed the goings on as my ‘going to heaven’ time. The awful thing about this family is that I had no idea who they were. They were these completely obese, lazy humans who were slow in affect. I loathed them. Many people are conditioned to believe that heaven is a place of rest from all the hard work and drudgery of your formal life. All that work that you had to put in in order to be deemed worthy. You are in heaven now. You have been proven worthy. There is no more working for your reward. This place is filled with an eternal peace. Nothing ever bad occurs in heaven, and nobody does anything wrong. There are many damaging effects in believing something or someone outside of yourself is greater than you and has the answers. We are naively taught, when we are young, not to listen to the whispers of magic that surround us. We loose track of our natural ability to communicate with and receive from planet Earth. It has been damaging to our relationship with the entity known as Earth for us to cut ourselves off from the very real contribution she can be to us. Over the last few years I have studied enough, asked enough questions, and had enough experiences to know that there is a tremendous amount that deception that the human species has bought into and has been functioning from. If you would like to be free from the illusion and the false light matrix, I highly recommend beginning by watching movies like “The Matrix.” Then seek out highly skilled healers and modalities designed to facilitate your freedom. The best set of techniques tools and processes I have come across to empower you is known as Access Consciousness. Access Consciousness will assist you to change anything not working. The foundational modality is known as Access Bars. Receiving an Access Bars session will destory limitations and free your body and energetic system; In essence, it will unplug you from the matrix. The rest is up to you and what YOU choose. Read essays, listen to radio shows, and watch videos by people such as Andrew Bartzis, Wes Penre, and Cameron Day. These people provide information about how our species has been being duped and imprisoned in ways that go beyond just the physical earth – the physical earth is that which our five senses are attunded to; what we hear and see daily. They have given me required information for my journey to be easier. Especially useful is Andrew Bartzis revokations as well as Cameron Day’s advice about revokations. The Access Consciousness clearing statement is also very useful to erase anywhere you hold a charge about anything in your body and mental / emotional system. Read more about the clearing statement in my blog 4 Tools To Get Unstuck Fast. I invite you to get in touch with You again. The You that is Infinite Being. One of the questions in Ten Keys To Total Freedom by Gary Douglas, is “would an infinite being truly choose this?” Ask this question when you are choosing something, such as work, a relationship, or a move to make. If you are aware that choosing something will create more for you, choose it. If you are aware that it will create a big pile of crap for you and your life, don’t choose it! 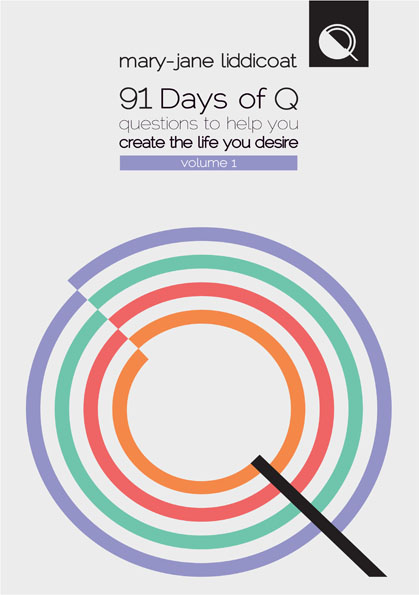 For more about Question as a tool to freedom, Read my blog 4 Tools To Get Unstuck Fast. The Planet is teetering right now. It’s future sustainability is in your hands. It now is up to you, Dear One. Be the magic you know is possible. With each and every choice for life, it creates more for the possibilities of all of us. All of us who care. All of us who remember this planet as she once was and as the glory she Be. The magic of what you have believed is heaven is already inside you, waiting for you to discover it. Tap into the place of infinite possibilities. What infinite potency of you have you not acknowledged, that is ready for you to claim, own and acknowledge it? What would the world be like if you chose that? This is the beginning scene of the HBO series The Newsroom, explaining why America’s Not the Greatest Country Any Longer. It is refreshing to hear dissent. Listen to this Monologue with Matt Damon from the movie Good Will Hunting (1997). In Good Will Hunting, Matt Damon plays a genius rebel. He is being offered a very prestigious job with the National Security Agency in this scene. I recently supported participation in One Billion Rising Strike – Dance – Rise on February 14, 2014, SAY NO to violence against women and girls.. One in three woman on the planet is being raped or beaten in her lifetime. That would be about one billion. In the United States, a woman is being raped every 9 seconds. Whatever any of the House representatives’ reasonings are to be for or against this violence against women bill, I don’t really care. The fact that a strong bipartisan bill went through is to be applauded. I acknowledge that progress is being made to really see and be aware of this problem at a governmental level. I have a question though. Is government programming is the answer? If yes, than I have another question: How has putting our trust implicitly with a force outside of ourselves been working for us? We’ve been lead to believe that change is outside of us. They (governments, parents, etc) will take care of it for us. Does not this framework of reference fit exactly into the mold of victim mentality? Another question: Is having a government spending vasts sums of money on these programs really going to work? It may put a Band-Aid on the problem. In my view, we’ve covered it with band-aids long enough. This is a hemorrhage. What changes are required than, for violence against women to cease in totality? Is now the time for us to be the change we’ve been waiting for? One thing I know is that the invisible quantum network we are all interconnected rises to support us in choosing differently. Here’s an awareness of mine: Violence Against Women, any form of violence, can not continue to exist in the face of consciousness. What can I do to stop violence against women? Is worrying about the neighbor ‘Sally’ or feeling sorry for the gal on the news ‘Judy’ really going to create the change required? Does buying the story and commiserating about how bad it is change anything? Here is what most people will not say. Allowing other people the freedom to choose to create their lives could be a gift. Could there be something you could contribute though? What energy, space, and consciousness could you be to have clarity and ease with this? How could choosing your joy, no matter how absurd it appears to others, be, to create the change required? What would it take to have a life of joy and ease? Could being in your joy be an invitation to greater possibility that inspires other people to choose differently? And if they don’t, could you honor their choice in that too? And remember, just because someone else can’t know it, doesn’t mean you can’t know it. Something I have been asking more of to show up in my world is kindness, gentleness, and caring. How would it be to have more kindness in and as your reality? What could that be like? What choice can you make today to receive, be, know, and have kindness and gentleness in your world, more than you can even imagine, right away? How would that change things for the greater whole of the world? Be kind to you.